Welcome to Sunnydale High, where midterms and peer pressure are the least of your worries. The Stake Your Destiny series returns Buffy Summers and the Scoobies to the glory days of high school. But this time "you" control the action and accept the full responsibility of being the Slayer. Interactive story lines advance by the choices you make, leading toward more than a dozen possible endings. 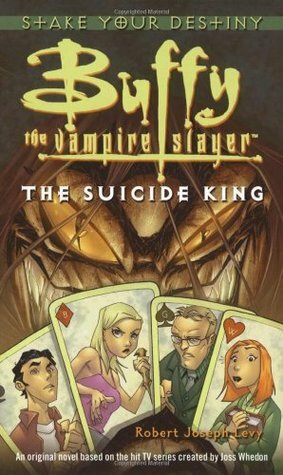 Do you have what it takes to be the Slayer, or will you fail and summon a successor?A rash of student suicides sweeps through Sunnydale High, jolting the community. When the newly arrived grief counselor ends up killing himself, Buffy and the gang begin to suspect there's something supernatural to blame. Soon one of their own begins to show signs of debilitating despondency, and it becomes a race against time for the Slayer to defeat the ancient threat known as the Suicide King.